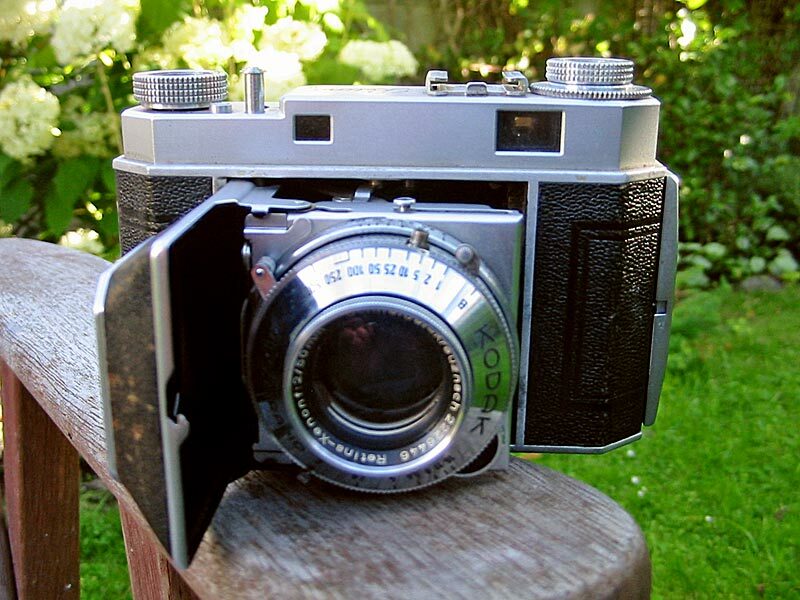 Manufactured from 1949 to 1950, this was the update of the earlier Retina II type 011. This model was fitted with a Compur-Rapid shutter, and was supplied with either a coated Schneider Retina-Xenon f/2 5cm, or a coated Rodenstock Retina-Heligon f/2 5cm lens. The camera in this picture is fitted with a Retina-Xenon lens. Probably the most immediately noticeable differences between this and the earlier model is that the type 014 was fitted with a film type "reminder" dial under the rewind knob, the depth-of-field scale was gone from the base of the camera, being engraved on the shutter instead, and the majority of type 014 cameras also had a flash synchronised shutter.